For your typing pleasure. 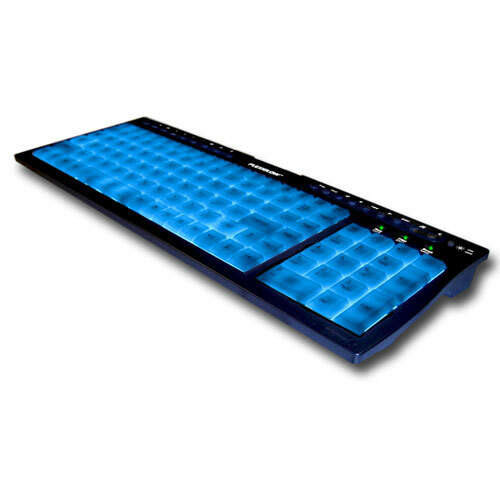 Keys light up blue, excellent for in the dark typing. To enter, simply reply here with your name and paste a link of where you've seen GideonTech.com on another site. All links accepted except links to our content updates. sweetness, thats a nice giveaway! As noted in our first post, links to our content updates are not valid. Whoops! Sorry, here's another one. StompFest : noun : A gathering of gamers that tread and/or trample heavily/violently on each other. Suddenly, I'm glad I mentioned Gideontech in that post.